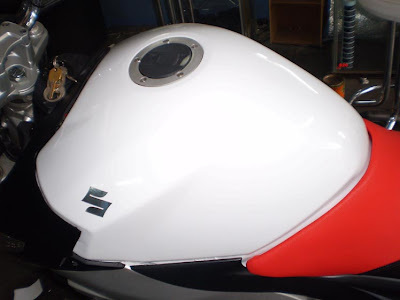 This is how we transform a red tank into white. 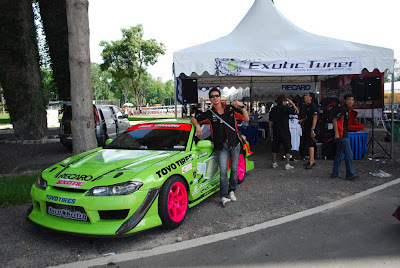 In co-operation with Exotic Tuner. 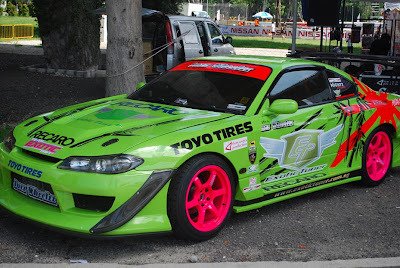 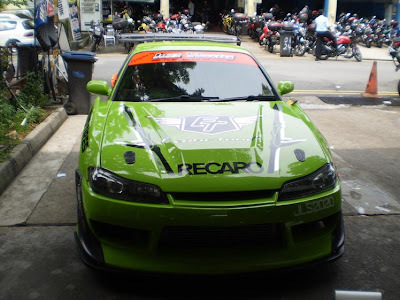 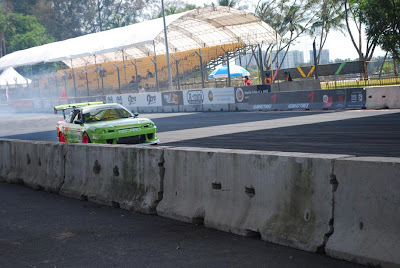 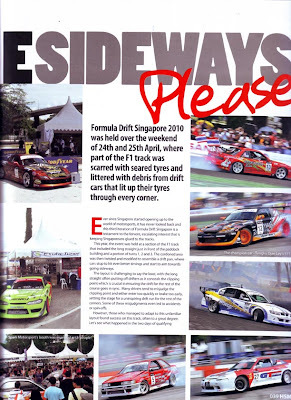 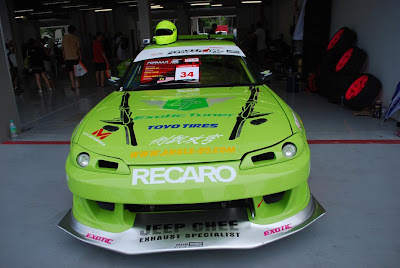 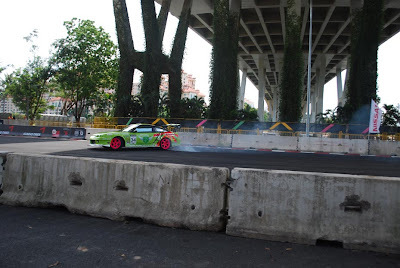 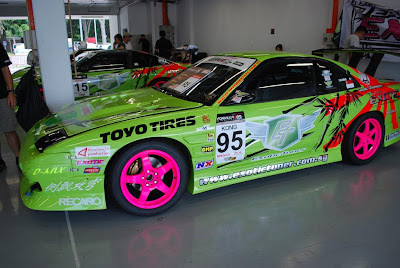 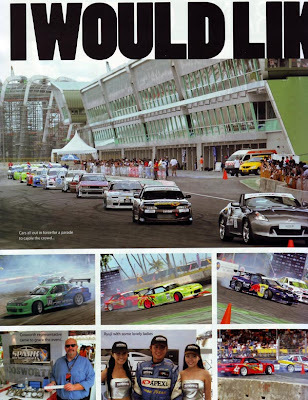 Juzz Wheelzz had the privilege to join Formular Drift Singapore 2010. 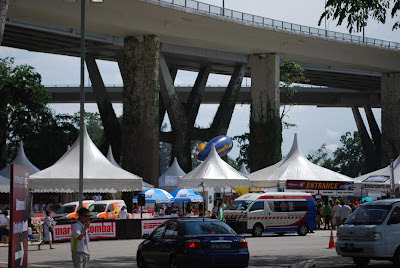 Bike Wash and Grooming Specialist. 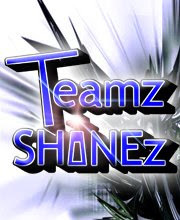 Click to View Teamz Shinez Forum. 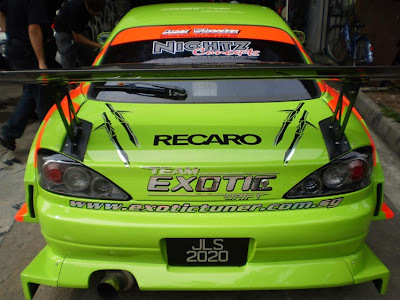 Juzz Wheelzz specialises in high-quality decals, stickers, protective films, bike seat upholstery and license plates for your bikes and cars. 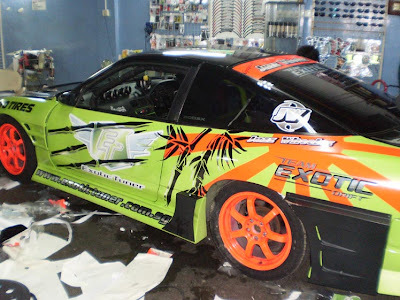 Our decals and stickers can be personally customised and their exceptional quality means that they do not wear or tear easily. 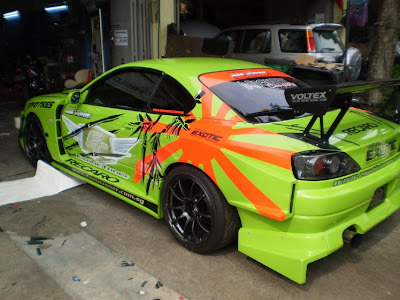 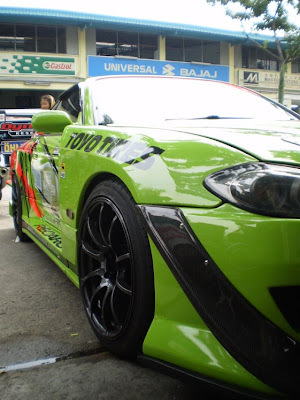 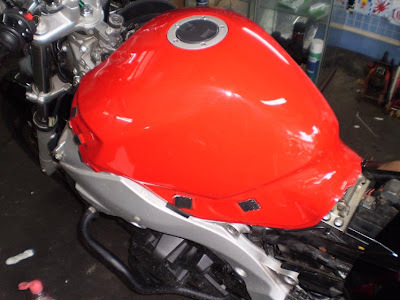 We are proud to be the popular choice among car and bike enthusiasts mainly due to our detailed workmanship and professionalism. 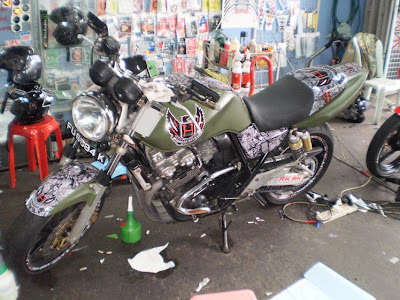 No matter what model, you can beautify your car and bikes in the way you like. 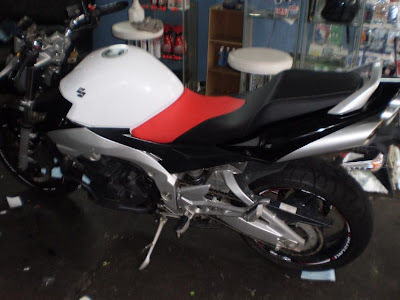 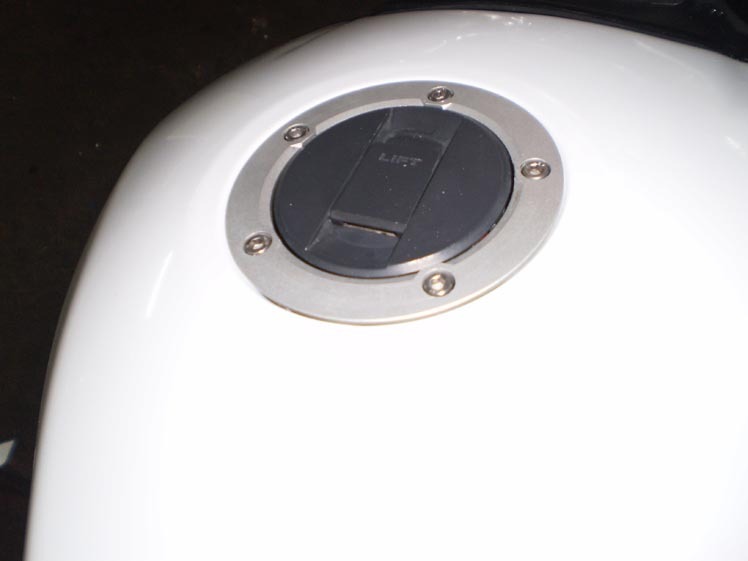 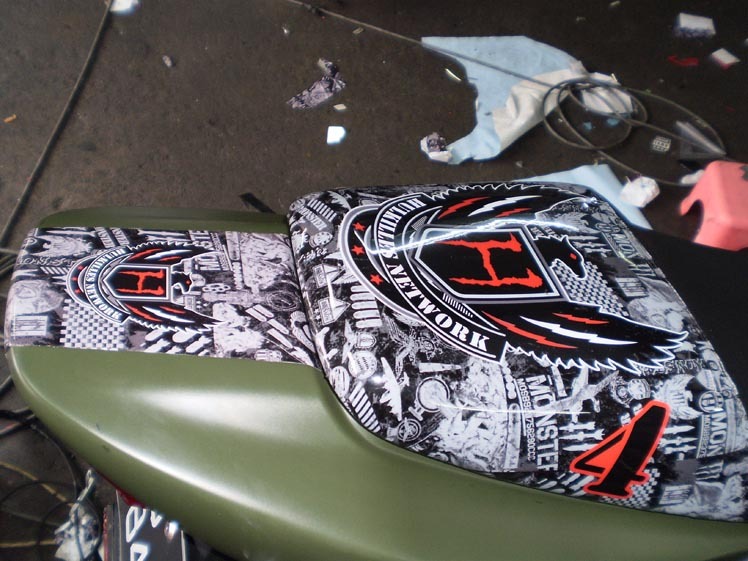 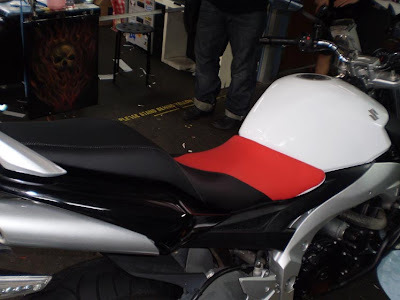 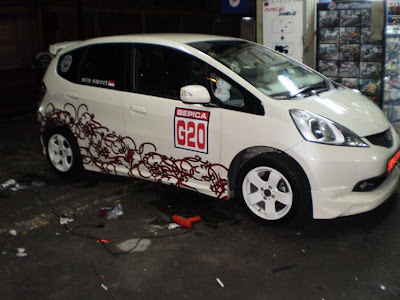 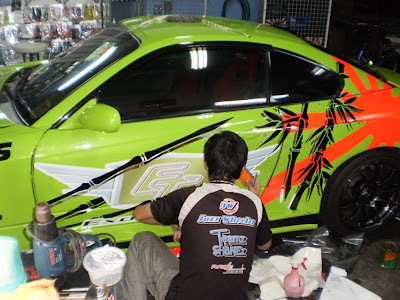 Our prices are reasonable, so call us today at 6270 0523 to personalise your cars and bikes now.